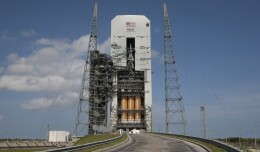 Orion, NASA’s newest spacecraft, is set to launch atop a Delta IV Heavy rocket from Cape Canaveral Air Force Station at 7:05 a.m. today. During the mission, dubbed Exploration Flight Test 1, the unmanned spacecraft will climb to an altitude of 3,600 miles above the Earth – farther than any manned spacecraft has gone in the past 40 years and about 15 times the altitude of the International Space Station. EFT-1 is a huge step for NASA’s human spaceflight program, setting the stage for future exploration missions to Mars. This is the first test flight for the program, and NASA engineers are hoping that Orion will return data from numerous on-board sensors that will help them learn how the Orion will perform with humans on board. NASA hopes that EFT-1 will offer information that will allow them to reduce the risk and increase the efficiency of future human spaceflight missions. 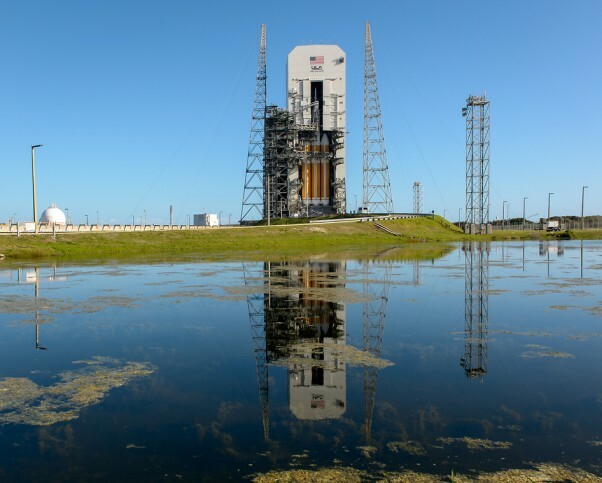 This mission will take about four and one-half hours, during which time Orion will orbit the Earth twice, allowing scientists to test things like the thermal protection system and hardware separation systems before returning to Earth. Upon reentry, Orion will reach a speed of almost 20,000 miles per hour and endure temperatures of 4,000 degrees Fahrenheit. Parachutes will be deployed in three stages to slow the spacecraft down, and Orion will land in the Pacific Ocean about 600 miles off the coast of California, where the U.S. Navy will recover it. 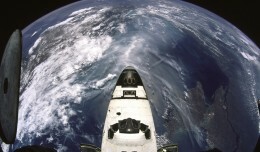 For more on Orion and its first mission, visit www.nasa.gov/orion. Sarina Houston, Managing Editor, is a commercial pilot and certified flight instructor who works full time as an aviation writer. You can find her at About.com or on Twitter. 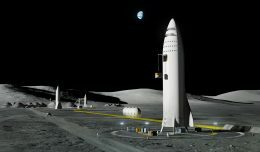 In light of his recently announced plans for the future of space flight, could Elon Musk's plans for a BFR be a BFD? 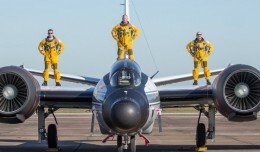 Residents of Houston Texas were given a rare treat last Thursday: A formation flight by the only three remaining airworthy B-57s, NASA's WB-57Fs. Cool NASA Animation Beautifully Details Every Step of Orion’s First Launch! A cool animation details NASA’s Orion Exploration Flight Test-1 (EFT-1) mission, which will go farther than any human spacecraft has in the past 40 years. 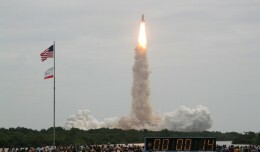 Space enthusiasts say goodbye to Kennedy Space Center's iconic Countdown Clock after years of poor weather and decades of unforgiving time have visibly taken their toll.